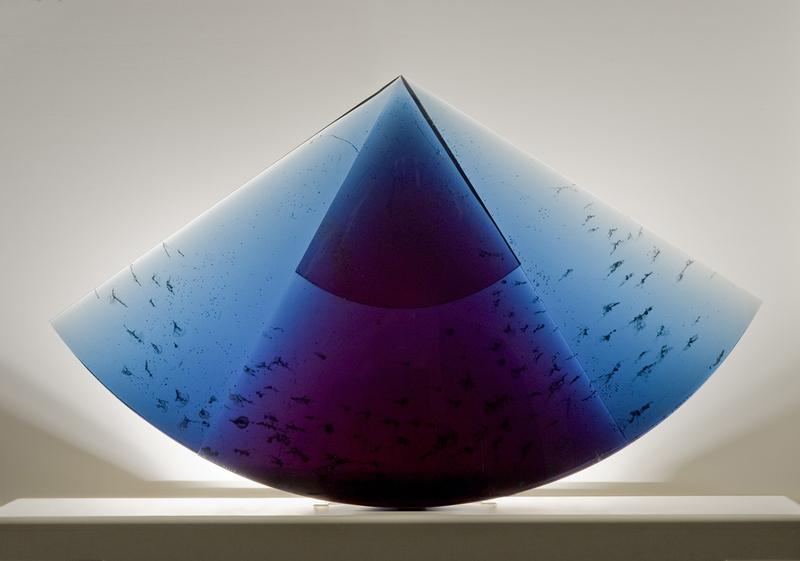 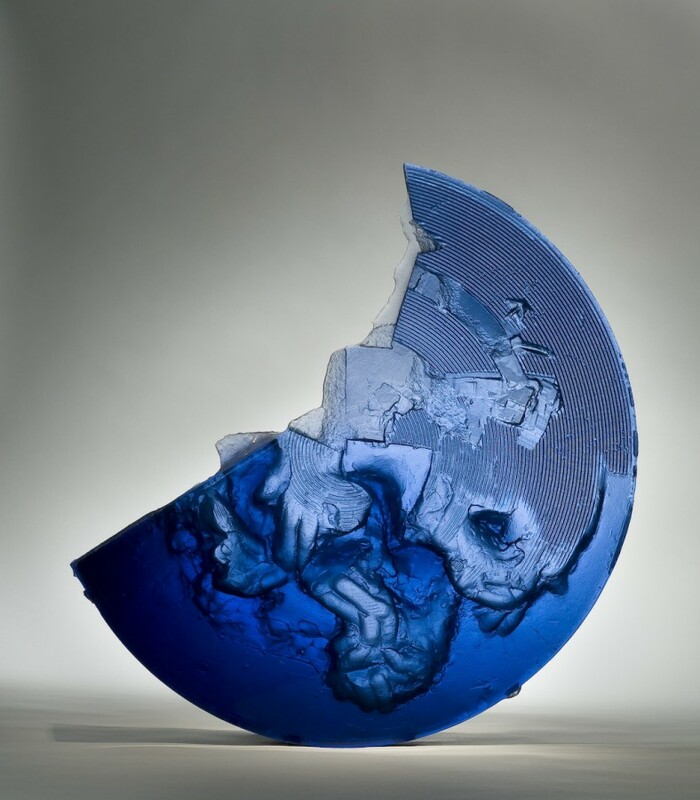 Trained as a painter and printmaker, Stephan Cox turned to glass in 1979. 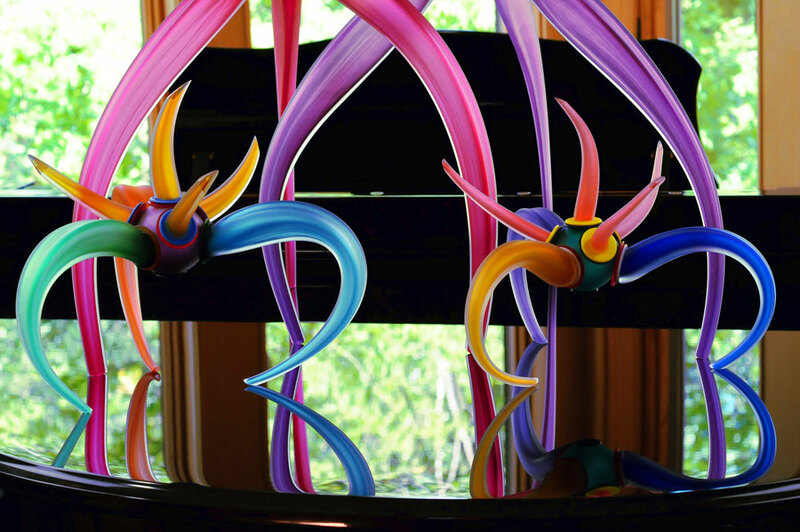 His complex and colorful sculptures – invoking insects, aliens, botanicals and sea forms – are inspired by everything he’s experienced. 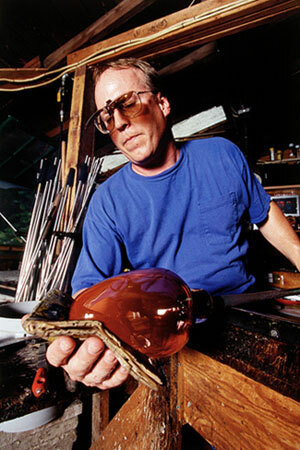 Cox can be found most days working diligently and alone in his rural Wisconsin studio. 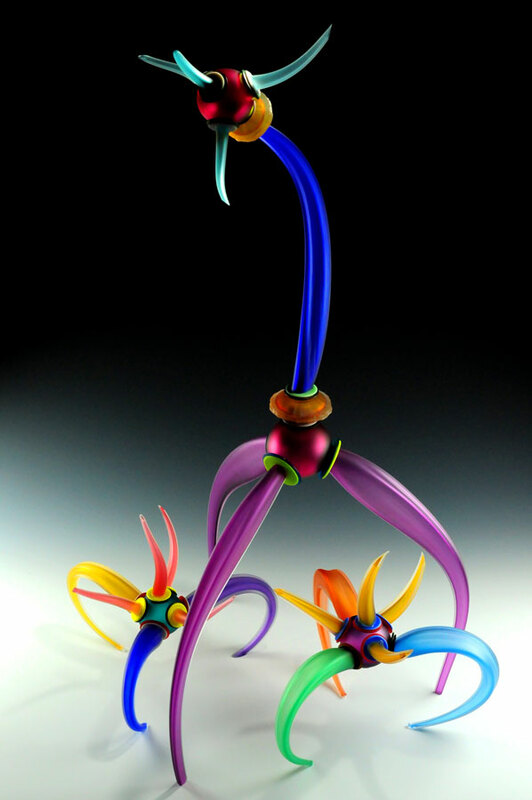 He is represented by Syd Entel Galleries and Susan Benjamin Glass, Safety Harbor, Florida. 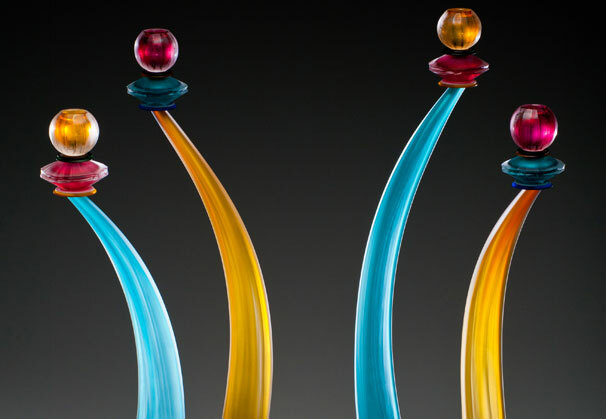 The malleable liquidity of glass is endlessly appealing, and I use the interplay of color, form, texture and light to achieve a compelling frozen moment. 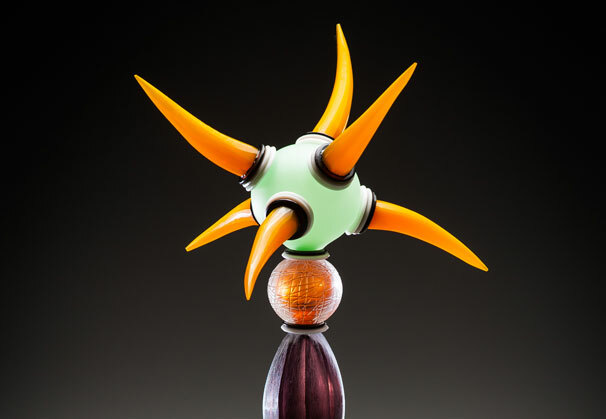 After blowing and shaping various elements, I go to my machines, benches, and tables, where - using techniques I’ve developed that are unique to my work - I cut, carve, and assemble. 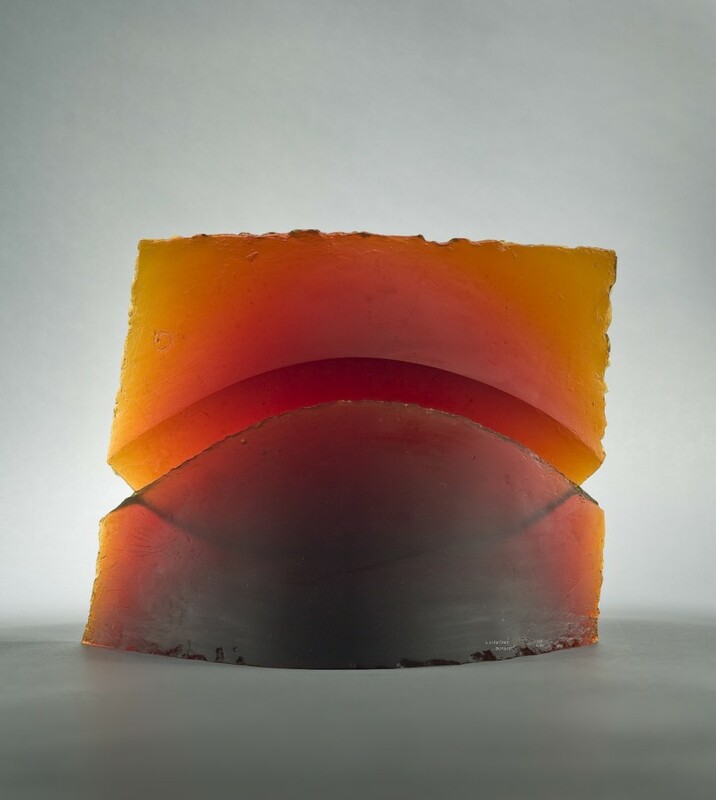 I prefer to work alone, an uncommon approach to glass making, and this solitary study allows me to distill my thoughts and plans. 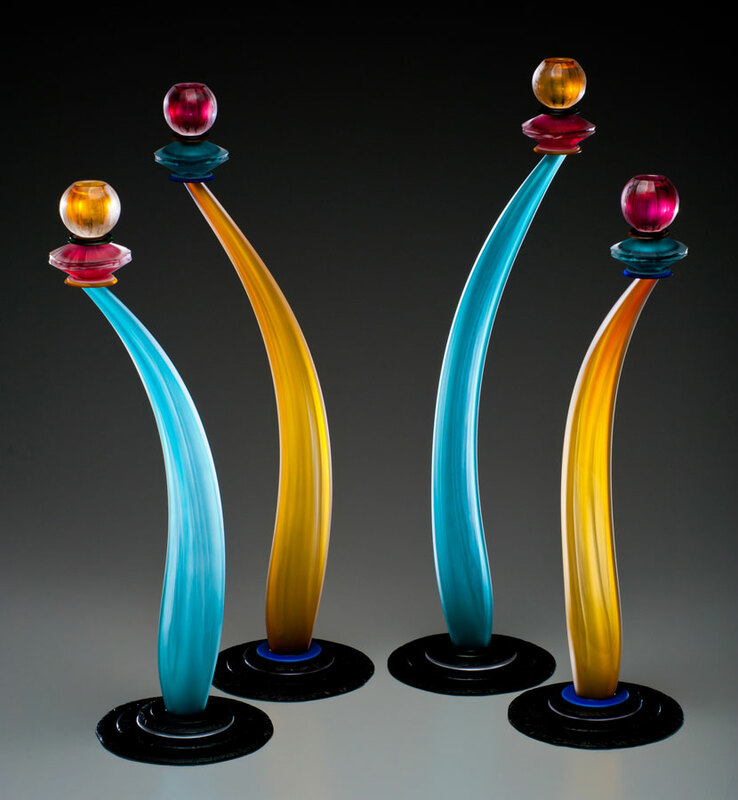 Born in 1956, Stephan Cox has designed and made original art for more than 40 years, focusing primarily on glass as a medium since 1979. 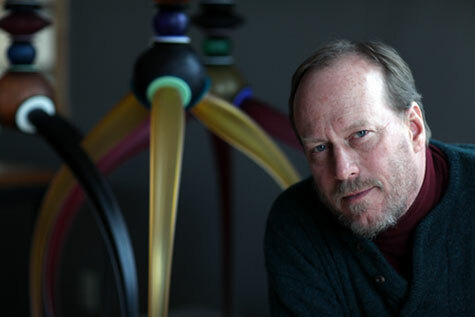 Cox studied color and painting at the University of Minnesota, then printmaking followed by glass at the University of Wisconsin-River Falls. 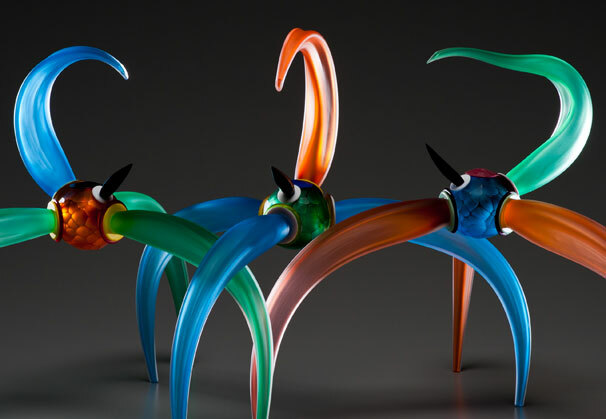 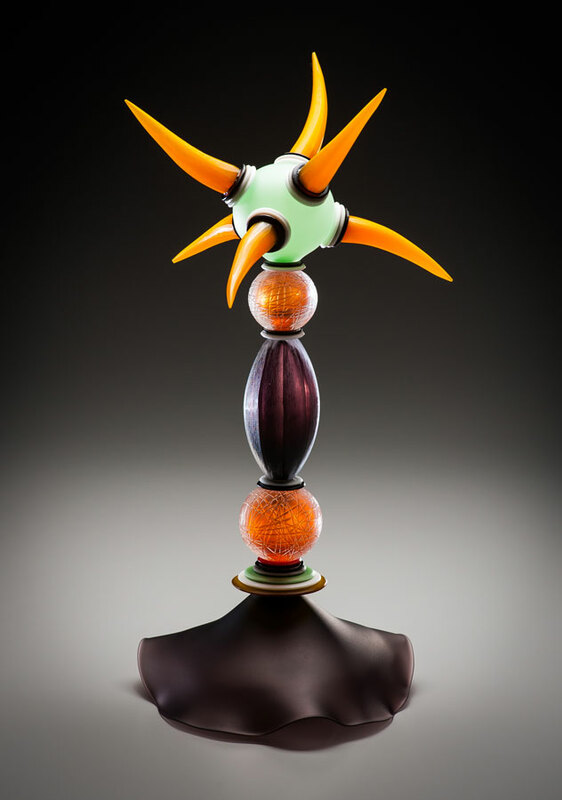 Cox is inextricably tied to the grand tradition of Wisconsin glass – studying under Jim Engebretson who, while at the Rhode Island School of Design, studied with Dale Chihuly, who studied at the University of Wisconsin-Madison with the founder of American Studio Glass, Harvey Littleton. 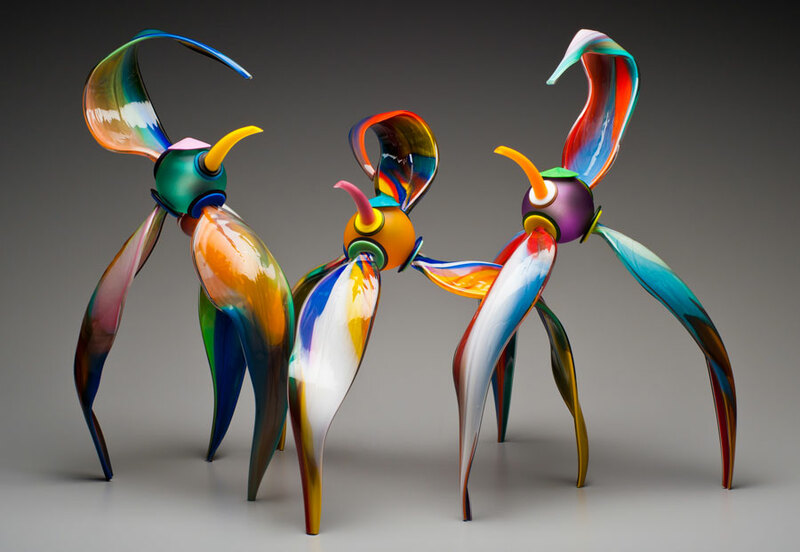 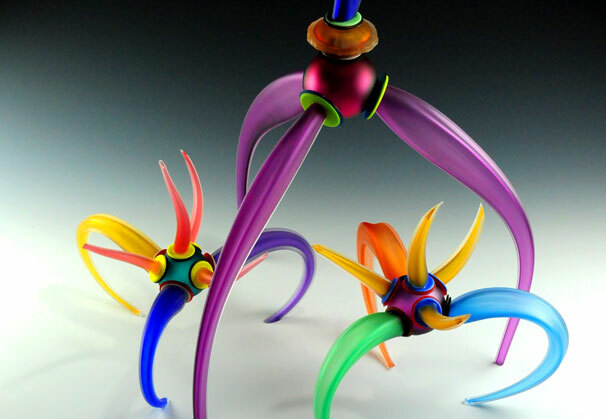 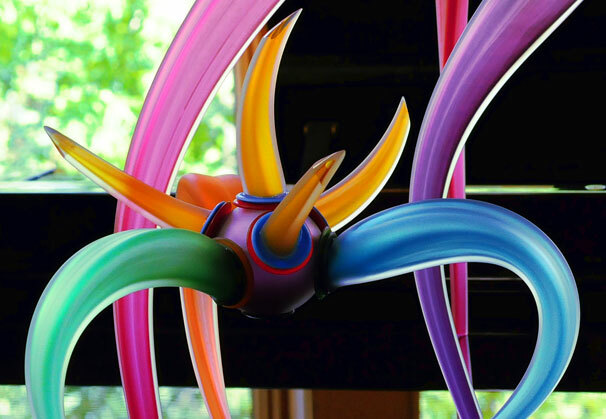 Cox’s vibrant and compelling sculptures are collected and exhibited worldwide, and he continues his study of color, form, texture, and light. 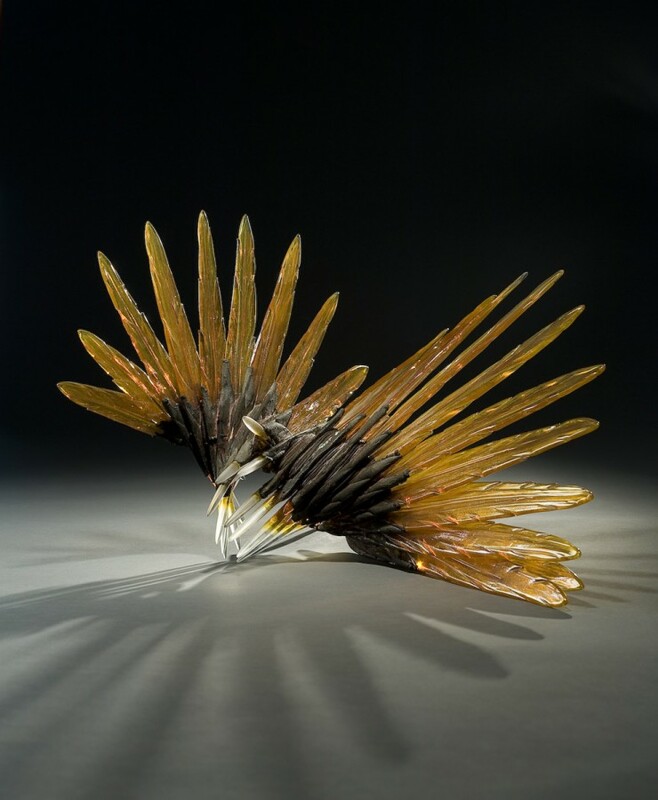 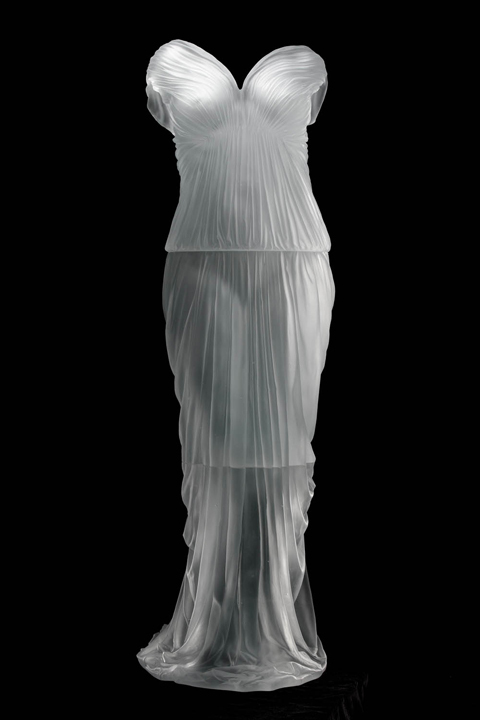 His work can be found in the collections of the Corning Museum of Glass, SAS Institute in Charlotte, North Carolina, and The Mobile Museum of Art, Mobile, Alabama. 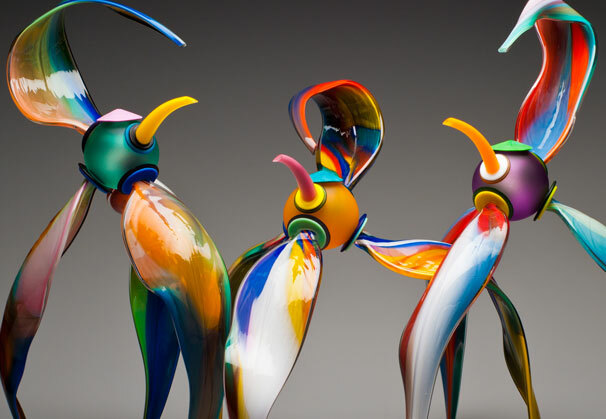 Among the private collections that contain his work is the collection of singer/songwriter Elton John. 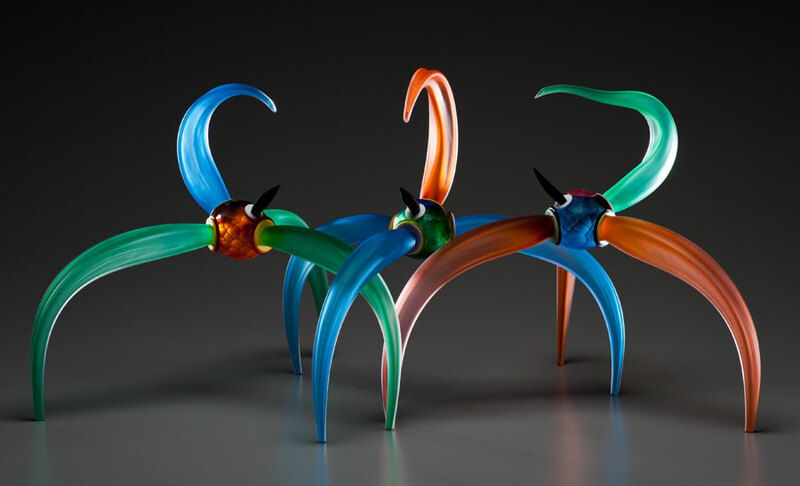 We are grateful to Syd Entel Galleries and Susan Benjamin Glass for providing the materials for the Artist of the Month.